Team (gallery, inc.) is pleased to host an installation by the Norwegian-born, Tokyo-based artist Gardar Eide Einarsson, entitled “Flagwaste”. In November of 2016, Hillary Clinton was widely presumed to be the frontrunner in the American presidential election. During the early evening hours of the eighth, however, it became clear that her opponent would be declared the victor. Shortly before the election, Team Gallery had opened a solo show by Gardar Eide Einarsson at its project space on the West Coast. 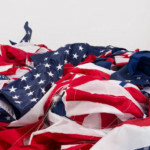 Included in that exhibition was a work entitled “Flagwaste”, a substantial sculpture that consists of remnants from the production of American flags. 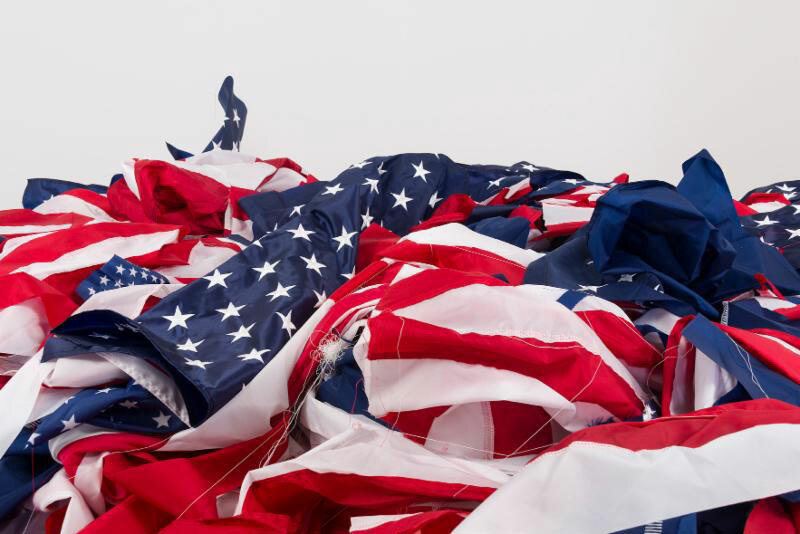 The materials had been obtained directly from U.S. factories, the residual waste of the flags’ fabrication process. The factories contacted were asked simply to sweep the floors at close of day, box the refuse and ship them to the gallery. The red, white and blue material was displayed as a giant, contiguous mound in the center of one of the gallery’s spaces. As the elections of 2018 loom, Einarsson has chosen to re-fashion “Flagwaste” as a solo exhibition for New York City. At Team’s Grand Street space, the sculpture will be shown in a scattered, as opposed to a piled, orientation. “Flagwaste” creates of the gallery a site for concern, a site for mourning, and makes palpable the radical and transgressive nature of the minimalist enterprise. The work refers explicitly to Robert Morris’ “Untitled (Threadwaste)” from 1968; the latter piece – an amorphous mass of industrial thread, the refuse from textile manufacturing, interspersed with bits of felt, mirrors, asphalt and copper tubing – is a seminal example of late Minimalism, and questions the cultural relegation of certain materials as refuse. Einarsson extends this logic to provide a metaphor for the necessary role of exclusion to the construction and definition of the nation state. Commandeering minimalist form for political ends is second-nature to Einarsson and his selection of Morris incontrovertible. Mating an apparently blank form to a charged gesture, “Flagwaste” began first as reduction: the removal of the artist’s hand, replaced by instructions executed by gallery staff. His act of appropriation is also marked by a pruning, for example, the aestheticizing mirrors incorporated by Morris in his pile of “rubbish” are nowhere to be seen in the Einarsson. In this way “Flagwaste” offers a correction to “Threadwaste”, removing its unnecessary excess gestures.